213 in stock Need More ? Reprint. Originally published: Oxford: David Fickling, 2005. 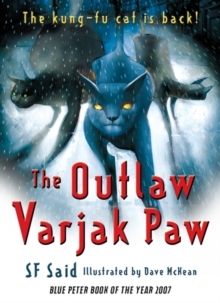 Having saved the city cats from a fate worse than death, Varjak Paw finds himself the elected and popular leader of a new gang - a gang that supports freedom and kindness for all. But will the pressure take its toll on this brave yet sometimes naive cat? Soon the city erupts in an all-out gang war as the evil Sally Bones attempts to control the lives of all cats. Horrified and outnumbered, Varjak and the others must fight for their freedom or die trying; can Jalal's Way really be the best way?This is another thrilling adventure, eagerly awaited by all Varjak fans, both young and old.